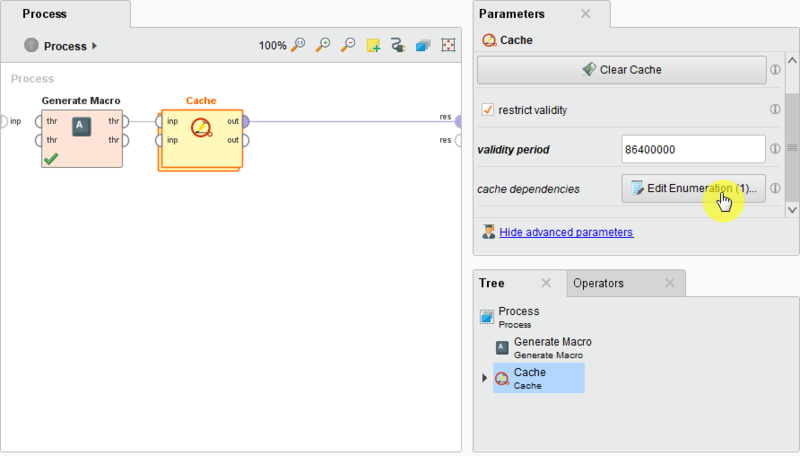 Open your caching process in RapidMiner and add the Generate Macros operator to it. 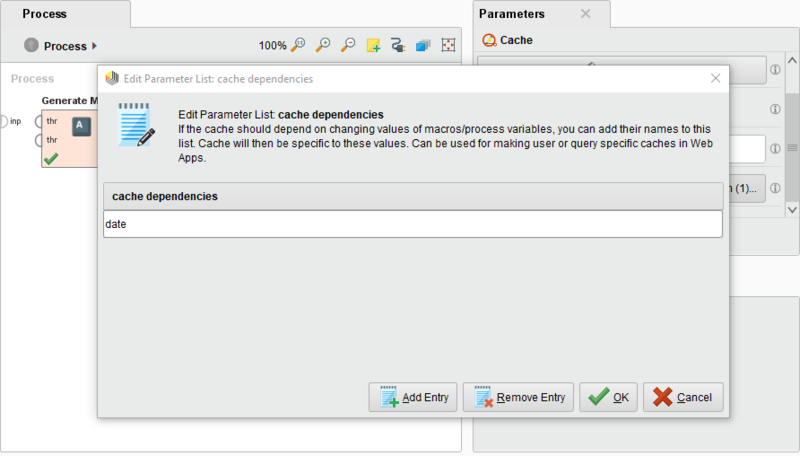 It is important that the macro operator is executed before the cache. 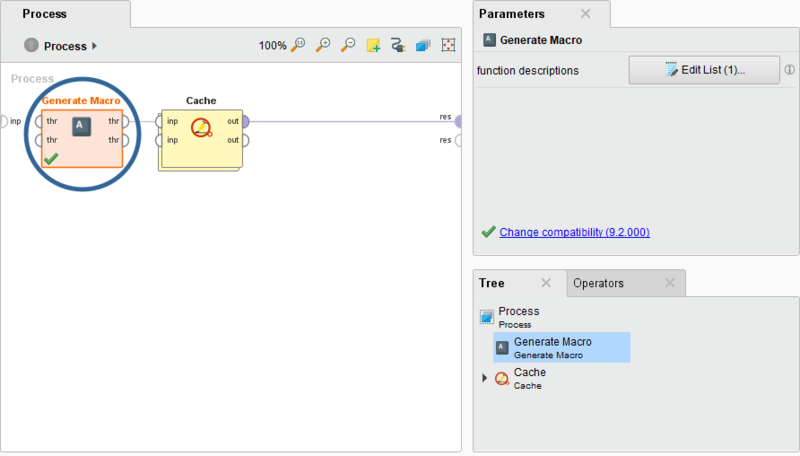 To ensure this, place it in front of the cache operator and make a connection from the right output port of the macro to the left input port of the cache operator. This way, the order is fixed and you can be sure the cache receives the macro. Also note that macros do work without connections, we are only doing this to determine the execution order. This will cause the operator to generate a macro containing the current date. Click apply. In the opening window, simply enter the name of your macro, in this case “date”, and hit “OK”. Now you are all done – it is as simple as that! As soon as the macro changes, the cache will be cleared and load the new data. Depending on your use case, it might be more helpful to restrict the data validity period or to use cache dependencies to automate cache updates – just play around with it! 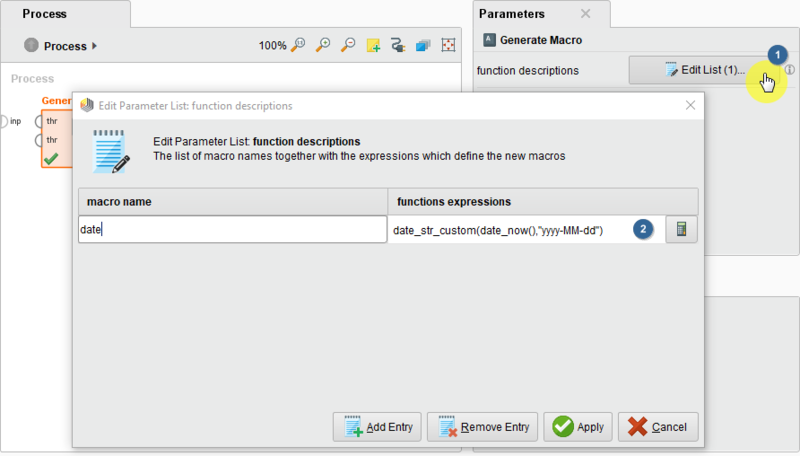 You can also not just use dates, but all kinds of macros.